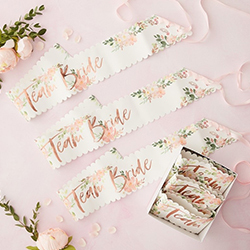 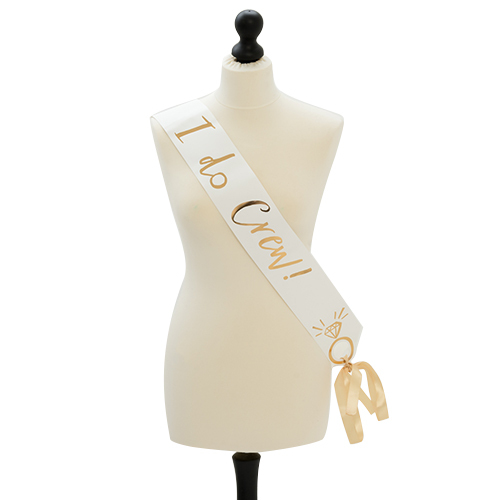 Among the hundreds of sash options we have available, these Floral Team Bride sashes are quite simply one of the best. 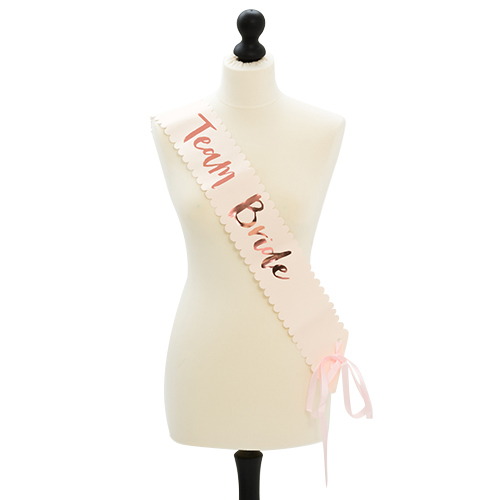 A classy, beautifully designed sash where the floral effect compliments the rose gold text perfectly and the pink ribbon used to fasten the sash simply completes the look. 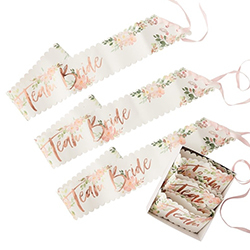 At 10cm wide these sashes are really eye catching and they are also around 1.5 meters long but the ribbon fastening means these can be adjusted to fit. 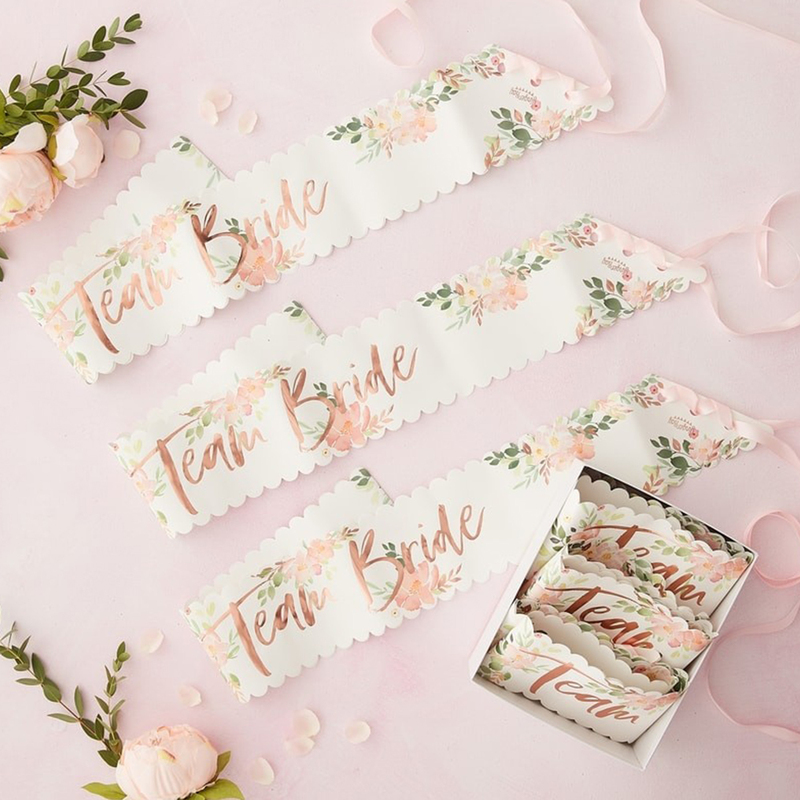 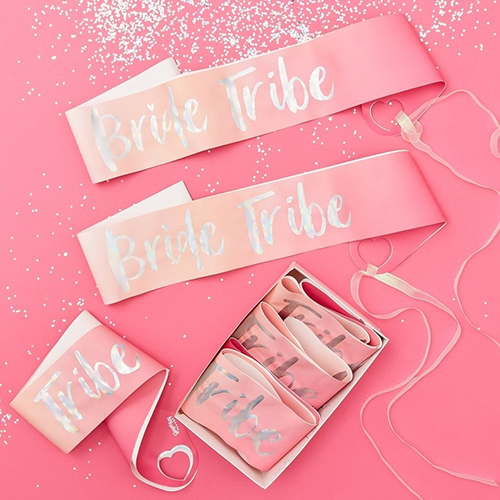 They come in a really pretty presentation box and are part of a huge range of Floral Team Bride goodies so you can kit out the whole group in style.